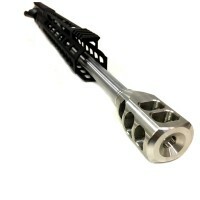 Barrel - 18" 416r stainless steel hbar contour barrel, stainless steel fluted. Hardened to 26-32 rc and stress relieved. Chambered in .223 Wylde, 1-8 rh twist. * Button rifled. .750 under gas block. Ball fluted. 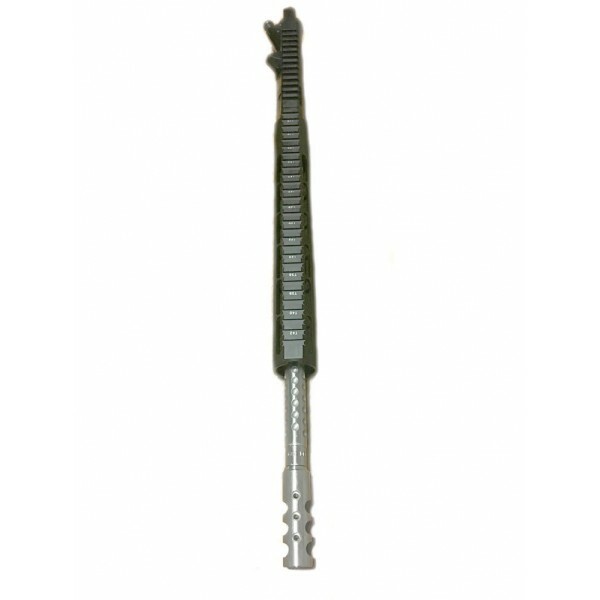 1/2-28 threads, completed with a stainless steel muzzle brake and a crush washer. M4 feedramps. Mid length gas system. 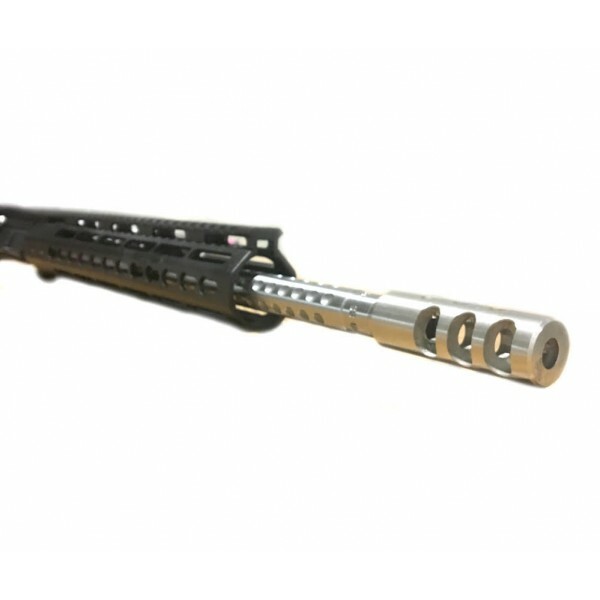 Left Hand flat top upper receiver - made from certified 7075-T6 aluminum forgings. Black hardcoat anodized to gov. specs. Forward assist and dust cover installed. Gas system - low profile .750 steel gas block, black hardcoat anodized. Mid length gas tube. Handguards - 15" slim free floating keymod rail. Made from aircraft quality aluminum and black hardcoat anodized. 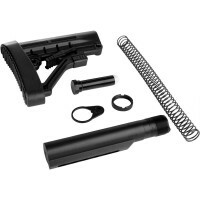 Also available in Mlok and Quadrail free floating rails.